Nowadays, some foodies judge a cuisine on whether it’s Instagram-worthy – forget about the taste as long as it gets tons of likes on social media! But as the old saying goes, there’s more to food than meets the eye. Yes, we might learn how to prepare a traditional dish, but knowing its history can help us appreciate these cultural delights even better. 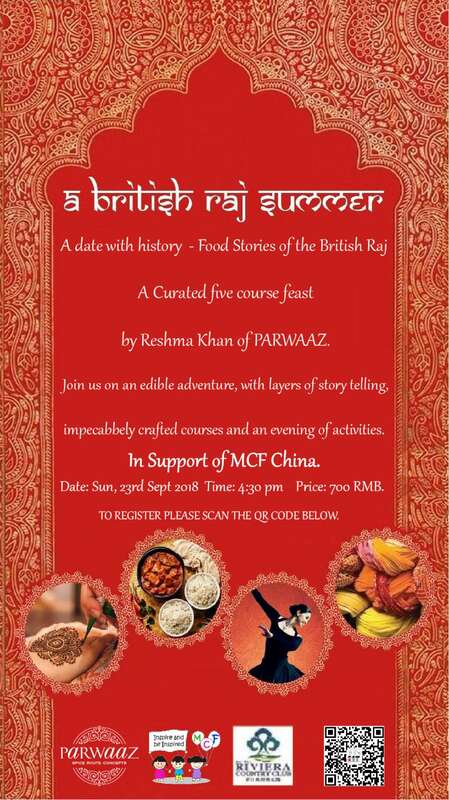 Such is the aim of Reshma Khan, of Parwaaz Spice Route Concepts fame. You’ll see her at many bazaars in town, filling our stomachs with savory Indian dishes and appetizing jams and chutneys. In one of our meetups, I shared with her my travel stories, but in response she asked me if I had tried the local delicacies of the countries I’d visited. Yes, I told her; but never had I thought of delving deeper into food history, until she enlightened me on why food has always been an integral part of cultural development. Now, Khan shares that enlightening talk with everyone through an afternoon banquet, “A British Raj Summer.” Khan will curate a selection of delectable Indian food, accompanied by activities that celebrate and explore India’s rich culture and traditions, including dancing, a tea party, a British Raj quiz, henna and more. She calls the banquet a “culinary journey” that will give guests an experience of how cross-cultural integration during the time of the British Raj led to the creation of each dish. Proceeds from this banquet go towards supporting the Migrant Children’s Foundation (MCF), an organization that strives to enrich the lives of disadvantaged children in Beijing.